Shimamura and Komako become fond of each other, but they have incompatible stations in society. Another complication of their so-called love affair is that Shimamura can't help thinking about Yoko even if he is with Komako. In Snow Country, the conversations read like haikus. The novel is replete with symbolism. It would do a reader well to go through the book slowly. 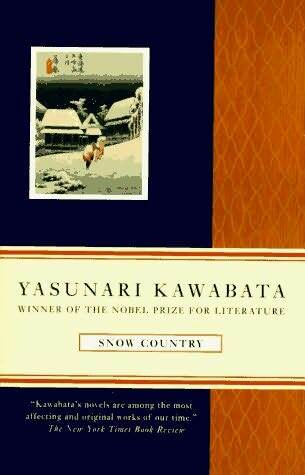 Kawabata likes to imply rather than state, which means the reader must fill in the gaps with his imagination. So many things are left unsaid. Kawabata's prose sounds so peaceful and quiet and awfully depressing. The theme of mono no aware, literally the "pathos of things" or "the awareness of impermanence and the gentle sadness of passing," is palpable. The town he paints sounds so quiet and the landscape so frozen I felt cold even in this tropical Manila heat. 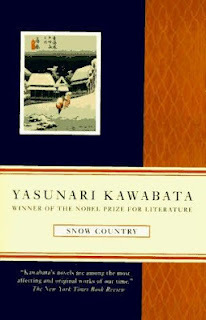 What I wrote about the Yasunari Kawabata's collection of short stories (The Dancing Girl of Izu) still rings true for this novel: that he can weave his tale with the fewest words possible without compromising, even for a bit, the complexity and depth of his ideas. If you're already in Goodreads, which I fondly call the Facebook for readers, do send me an invite: http://goodreads.com/bottledbrain.